At our meeting on 8th May we were shown the techniques of hand spinning by Gilly Pusey. Her dedication and enthusiasm for the craft was evident as she talked us through the whole process from collecting the fleece to the cleansing and dying of the end product. There were so many different breeds of sheep and different qualities of wool that I quite lost count. 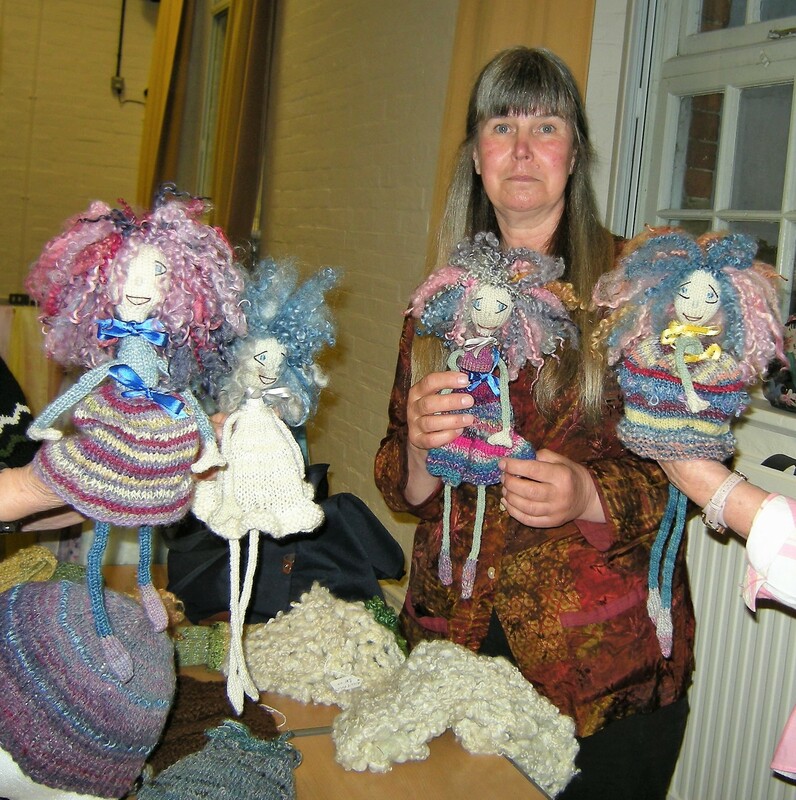 Gilly brought along some of her delightful quirky dolls to show us and you can find these on her web site. In addition to her spinning both with a spinning wheel and a spinning spindle, rather like a top, she explained to us the technicalities of dying and how one can use natural products to produce a number of subtle colours.